Paulette Jordan (left) and Brad Little. 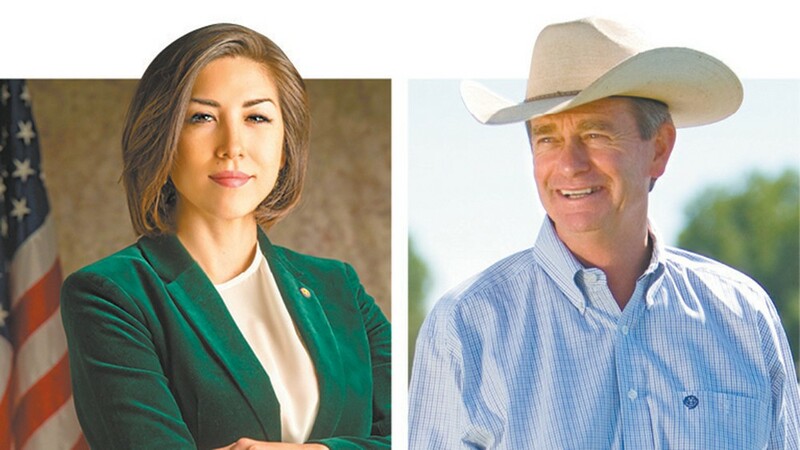 Greysen W. Danae: I'd like to see Paulette Jordan as governor of Idaho, but I'm not holding my breath. Vicki Forslund Bordieri: Silly, Idaho love them some Republicans. They love having schools scraping the bottom of the barrel. Same spot their wages are. President Donald Trump continues to castigate the Obama administration for issues brought on under his own party. He bemoaned the epic tragedy of the apparent languishing economic projected growth and lamented the state to which the United States was in. "Make America Great Again" has been the hallmark of his campaign that ignited pride and patriotism in many. Donald Trump's claims were just that, claims and half truths meant to stir ire and frustration for his own political expediency. He bemoaned the economically derelict state we were apparently experiencing, but seemingly turned a blind eye to the party that led to that situation. In July of 2009, the unemployment rate was at an unbearable percentage level of 9.5 percent, according to the Bureau of Labor Statistics, a rate that grew 4.6 percent from December of 2007, which was the commencement of the recession. The Bureau of Labor Statistics reports that in June 2017 the unemployment rate was just 4.3 percent. Under President George W. Bush, federal government employment was increasing faster than employment in the private sector. Under the Obama administration, we saw 76 months of continued private sector growth. I am not a pro-Hillary/Obama or pro-Trump, but that doesn't mean I can't find qualities among any of them to which would be beneficial for our nation. We are becoming tone deaf from the rhetorical cacophony of ill-informed opinions and half truths that seem to continue to waft in today's newsrooms as to suit a certain political ideology. Trump must tone down his opinions and use the immense world stage that he has found himself on to promulgate solutions and remedies verses shallow critique.